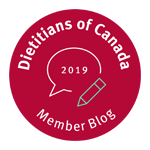 Canadian eating habits | Health Stand Nutrition Consulting Inc.
You might suspect that what Canadians actually eat is somewhat different than what they should eat. Our nation’s suboptimal eating and lifestyle habits are contributing to rising rates of obesity and high levels of chronic disease such as diabetes, heart disease and cancer. 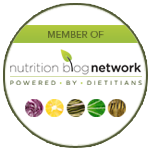 As a registered dietitian, I have worked with hundreds of clients with widely different nutrition patterns and challenges. Along the way I have also been examining some interesting statistics about Canadian eating habits and health issues. The following is a list of some of the common shortfalls I see in Canadian eating habits and what to do about them. Seven out of 10 children aged four to eight do not eat the recommended five servings of fruits and vegetables per day. At ages 9 to 13, it is recommended to consume six servings of vegetables and fruits per day. Figures from Statistics Canada suggest that more than 60 per cent of kids that age don’t even eat five servings per day. For adults, Health Canada suggests a minimum of seven servings of vegetables and fruits per day and more than half do not get at least five or more servings of fruits and vegetables per day. One serving is equal to one fruit, a half-cup (125ml) of fresh/frozen/canned fruit/vegetables or one cup (250ml) of raw leafy vegetables. Fruits and vegetables are an important source of key vitamins, minerals, antioxidants and fibre that provide significant protection against chronic diseases such as heart disease and cancer. Eat fruit at breakfast, lunch and potentially as snacks every day. Choose to eat vegetables at least twice in your day (such as at lunch and supper). For adults, vegetables should fill half your dinner plate. This means that you should likely choose two types of vegetables such as one raw veggie/salad and one cooked vegetable. Take advantage of convenient fresh options such as pre-washed, prepared salad, cabbage, carrots and stir-fry vegetable mixes. Bring a fruit bowl to work. Fill it on Monday morning and make it your goal to eat whatever is in the bowl by the end of the week. Start the day with a smoothie. It can be a great way to get at least a few pieces of fruit early in the day. Ask your office to order a fruit or raw veggie tray instead of dessert at meetings. Take advantage of frozen vegetables since they can be nutritionally similar to eating fresh vegetables. Not a big fan of raw vegetables? Try eating your vegetables in the form of a vegetable soup instead. Prepare a container of raw veggies once a week so they are ready to grab. Try carrots, broccoli, cauliflower snap/snow peas, grape/cherry tomatoes, etc. Almost 40 per cent of children aged four to nine do not consume the recommended two daily servings of milk and alternatives such as yogurt and cheese. More than two-thirds of 30-year-old Canadians do not attain the minimum two servings suggested. Health Canada suggests three milk and alternative servings per day for adults 51 years or older. Eighty per cent of men and women age 71 or older consume less than two servings of milk products a day. One serving of milk and alternatives is one cup (250ml) of milk/fortified soy beverage or three-quarters of a cup (175g) of yogurt or 1.5 oz (50g) cheese. Getting enough calcium is important to reduce your risk of osteoporosis and may help protect against high blood pressure and colon cancer. Buy/pack a container of milk or fortified soy beverage for lunch. Add powdered milk to soups, stews, or while hot cereal is cooking. Have a hot chocolate, low-fat latte or “steamer” made with milk/fortified soy beverage at a coffee shop. Have a yogurt tube (freeze) for a treat. Have a wedge of cheese and a piece of fruit as a snack. Make a yogurt parfait with fruit and cereal for breakfast or a snack. Make a smoothie with fruit, yogurt and milk/fortified soy beverage. Melt a slice of cheese on your veggies. Talk to your doctor or dietitian about calcium supplements if you suspect you don’t consume enough calcium-rich foods. More than a quarter of Canadians aged 31 to 50 eat too much fat. Adults in low- and lower-middle income households are less likely than those in the highest income households to get too much fat. According to widespread nutrition research and the highly respected Dietary Reference Intakes put together by the Institute of Medicine — an independent, non-governmental organization in the U.S. — getting more than 35 per cent of total calories from fat can increase health risks. Eating too much dietary fat can elevate the risk of heart disease, certain types of cancers and obesity. Key sources of fats in the Canadian diet include meats, high-fat dairy foods, oils/butter/margarine along with snack foods. Forty-one per cent of snack choices do not come from the core food groups (vegetables and fruit, grain products, milk and alternatives and meat and alternatives). Choosing lean meats, skinless poultry and smaller amounts of high-fat dairy foods such as cheese/cream. Replacing traditional high-fat snack foods with items that tend to fall short in the average Canadian diet such as vegetables, fruits and calcium-rich foods. Choosing not to stock your cupboards full of your favourite chips, chocolate or other treats. This will help decrease the number of opportunities you have through your day to eat treats based on accessibility. Stocking your office with healthy snacks so that you can avoid the vending machine. Whenever possible, eating at home rather than at a fast food outlet or restaurant since these meals are often higher in fat than a homemade meal. If you eat out regularly, seek choices lower in fat. Remembering the goal is not to eliminate high-fat foods you enjoy. Instead, budget your favourites as part of an overall balanced diet. Watching portion sizes. Keep an eye on portions of meat, cheese, restaurant/fast-food meals and snack foods since these are often foods consumed in large quantities and can elevate your fat intake. Research shows most Canadian children, teens and adults are falling short on fibre with many people only getting about half of the fibre they need. The recommended daily intake for total fibre for 14-50-year-olds is 38 grams for men and 25 grams for women, while for men and women over 50, it is 30 and 21 grams per day respectively. 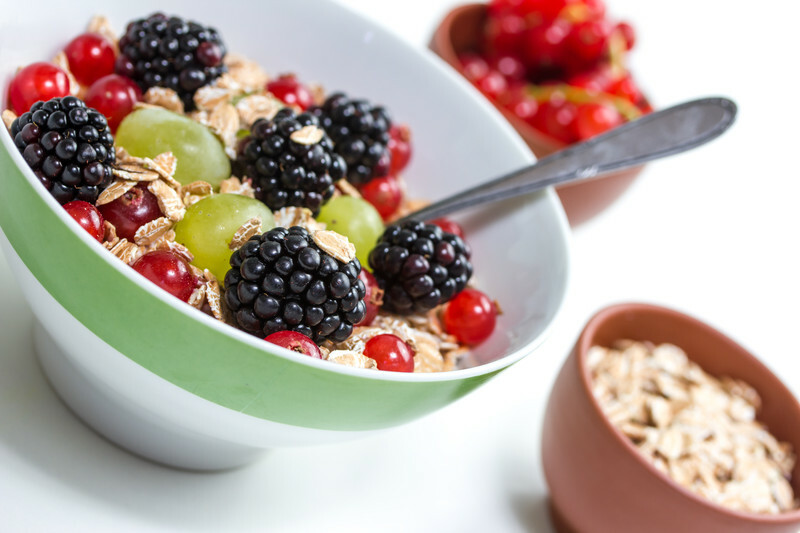 Fibre is important for maintaining good digestive health and reducing digestive issues as well as helping to prevent diabetes, heart disease and certain types of cancers. Fibre is found in grains, fruits, vegetables, nuts/seeds and beans/legumes. Enjoy oatmeal and other high-fibre hot cereals. Choose high-fibre bran-based boxed breakfast cereals. Eat fruits and vegetables with the skin when possible. Add beans, lentils, or chick peas to salad, soup or chili. Sprinkle nuts/seeds on salad, cereal or yogurt. Add fresh or frozen berries to cereal or in smoothies. Choose whole fruits and vegetables more often than juice. Select whole-grain breads, brown rice and whole wheat pasta more often. Historically, vitamin and mineral standards for Canada aimed to prevent deficiencies such as scurvy and rickets which are now very rare in Canada. In the past decade, nutrition research has determined higher levels of vitamins and minerals are required to optimize health and prevent the chronic diseases we now face as Canadians. While many health professionals often suggest you can get all the vitamins and minerals you need from a balanced diet and that supplements are not necessary, the reality is most people don’t eat perfectly every day. As a dietitian, I have loaded hundreds of food journals into computer analysis programs to assess the vitamin and mineral intake of my clients. It is extremely rare to see clients who are achieving 100 per cent of the optimum vitamins and minerals needed for health each day. A standard multivitamin and mineral supplement can help to “top up” your food intake and is a good idea for most people. Just be sure that you don’t assume that by taking supplements you can take a vacation from eating healthy foods. A supplement is only a supplement. Supplements can never replace a balanced diet full of carbohydrate, protein, essential fats, vitamins, minerals, fibre and a complex array of hundreds of beneficial compounds such as phytochemicals, which boost health. Choosing a wide selection of fruits and vegetables with a broad spectrum of colour. Challenging yourself to step out of your comfort zone and eat a diverse selection of foods every day. Eating whole foods closer to their natural state and fewer highly processed packaged foods. 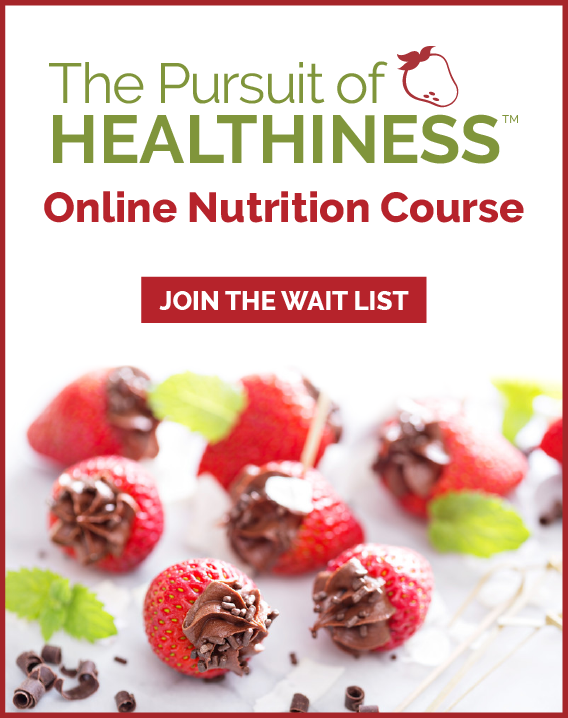 Andrea Holwegner— the Chocoholic Dietitian — is a registered dietitian and founder and president of Health Stand Nutrition Consulting in Calgary. Interesting, thanks for that. My son has a terrible aversion to eating raw fruit for some reason, so I made it into smoothies for him and then he can’t get enough of it! I also found some great smoothie recipe here and thought I’d share – lots of other great ideas there.